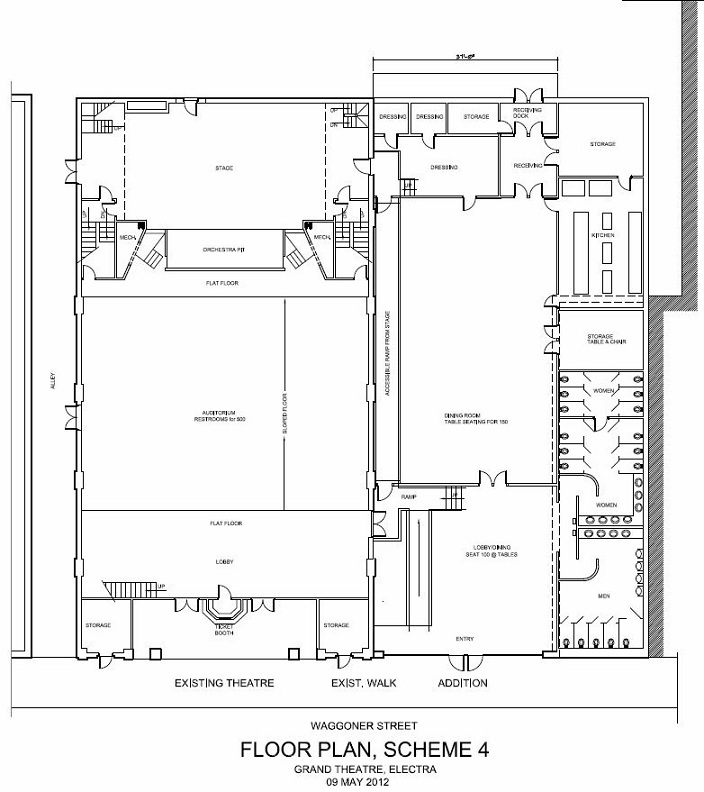 By almost doubling the size of the theatre complex we're planning to add a covered annex which will contain a banquet/conference room, a catering kitchen, furniture storage and restrooms for the theatre. The room will be available for weddings, dinners, meetings and other civic gatherings and will be open to the public. Also, this addition will provide badly needed public restrooms for downtown Electra even when there are no events scheduled in the theatre. Please take time to study the plans and appreciate what an improvement these additions will be to make the Grand Theatre a center for entertainment - not only in Electra - but for the North Texas area.